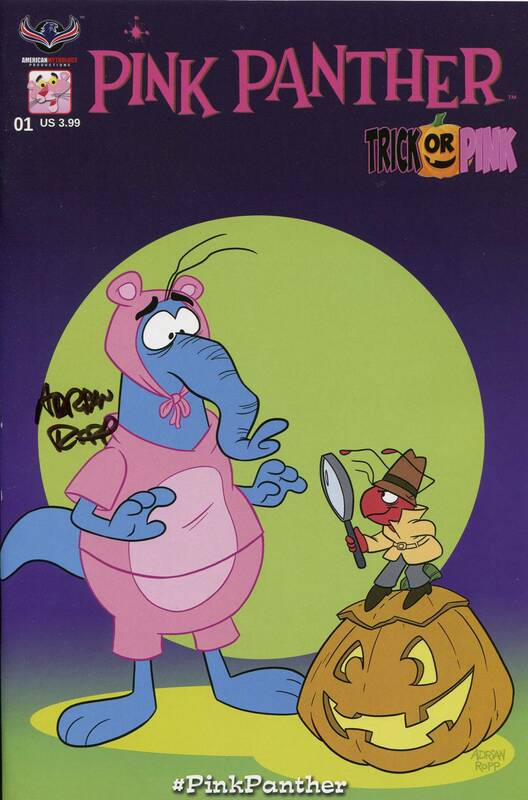 Amazing animator Adrian Ropp signs this cool Ant and the Aardvark holiday cover of Trick or Pink! It comes bagged & boarded with a certificate of authenticity and is limited to 75 copies. Allocations may occur.